The past several years have highlighted the need to expand the concept of EU energy diplomacy in two critical dimensions: first of all, to promote EU rules and values of its energy policy abroad as well as to ensure the coherence between different policy levels: national and European, intra- and extra- and, secondly, close collaboration among EU think tanks, research centers, universities and other institutions in the field of energy policy and security. For a number of years already, the EU faces numerous different challenges in its extra- and intra- energy policy: the interruption of gas supplies, the limitation of alternative suppliers, the predominance of Russian long-term contracts, the intrusion of new infrastructure projects by Russia, the difference between levels of competition in the West and East European gas markets, infrastructure bottlenecks, the lack of interconnectors and many others. Thus, the main objective of the EU now is to become an effective single energy importer with a highly developed interconnected market and to speak with a common voice on security and foreign policy issues involving Russia. According to the Action Plan, the European Commission together with the Foreign Affairs Council should make stronger their support for the external aspects of the Energy Union within the Treaty mandate and conduct diplomatic activities designed to enhance access to energy resources. The next important purpose is the reform of the Energy Community and other European Energy Institutions aimed to ensure open and competitive markets. In fact, it is of critical importance for the EU to gain success in internal energy diplomacy: complete a fully-connected internal energy market; increase energy efficiency; liquidate the infrastructure bottlenecks; decarbonize the economy and develop research, innovation and competitiveness. Harmonizing the EU states’ national interests in the energy sphere, putting them into the framework of the Energy Union and overcoming the common risks of energy security would require complex and multi-level negotiations, first of all, diplomatic efforts. Therefore, energy diplomacy should play a role not only in strengthening the EU’s external energy policy, but in boosting the internal energy policy as well. With the aim to estimate the mechanisms of implementations, instruments and other aspects of energy diplomacy issues, a survey of high-level experts from the EU states and Ukraine has been conducted. We would like to introduce the conditions and results of the survey below with short comments. The survey took place from the November 1, 2016 to March 31, 2017. The high-level experts of energy security, foreign policy and crisis management issues were the participants in the survey.The geography of the survey was Poland, Ukraine and EU member states, including Belgium, Bulgaria, Estonia, Hungary, Ireland, the Netherlands, Germany, Spain, Slovakia, the Czech Republic, France and Austria. All survey participants were invited via email to answer the questions or for a personal interview. At least,124 questionnaires were sent. In summary, 52 replies were received, including 22 from EU member states respondents, 21 from Polish respondents and 9 from Ukrainian respondents.The number of questions was 10. We received 8 replies from Ukrainian experts on question N8 and 18 replies from the EU experts on the question N5. 1. One component of the Energy Union strategy is the need for energy security, solidarity and trust between the Member States. Adopted on 20th July 2015 EU Energy Diplomacy Action Plan stresses the need to strengthen strategic guidance through regular high-level engagement. What institution should be responsible for European Union Energy Diplomacy? The majority of our respondents (70%) agreed that an institution responsible for the EU Energy diplomacy should be established, and DG Energy is a better candidate for this mission. Some Ukrainian participants of the survey stressed that it could be the DG Neighborhood and Enlargement Negotiations and not numerous group of experts from EU mentioned DG Cooperation and Development for this role. Indeed, these rather illustrative results mean that the majority of our respondents highly appreciate the current work of DG Energy. It is worth noting that current EU-Russian energy relations are characterized as a multi-faceted problem. On the one hand, it is the controversial project Nord Stream 2 that destroys the solidarity of EU member states and divides them into opponents and supporters of this project. On the other hand, the Baltic states complicated relations with Moscow, announcing a desynchronization of their electricity system with those of Russia and Belarus by 2025 and full synchronization of their electricity system with the EU. As the result, Belarusian and Russian electricity generation could have a surplus and thus trouble with their sales. Furthermore, Kaliningradskaya oblast could turn into an energy island, and it would again be a problem for Russia to maintain this. Finally, there are the threats on the side of the Kremlin to stop transiting Russian gas through Ukraine after 2019. All of these complex problems mean that European countries need some institution that helps to solve problems on the inside level as well will serve as a moderator in the case of an aggravation of relations with Moscow. In other words, the mission of a future energy diplomacy institution will dampen internal conflicts and defend EU interests in the international arena. 2. From your point of view, what should be the obligations and powers of the institution that would be responsible for European Union energy diplomacy? 50% of our respondents noted that increasing energy security should be the key priority of EU energy diplomacy. Interestingly, EU and Ukrainian respondents named as a second priority «to prevent energy conflicts» (Poland - 8%, EU - 18%, Ukraine - 25%). It is likely that the Ukrainian participants of the survey meant closely involving EU institutions in the role of moderator or facilitator in the case of an energy conflict between Ukraine and Russia. It seems that for Polish respondents «to enhance external energy cooperation» is not a priority at all, while EU and Ukrainian respondents highly appreciate this issue (EU - 9%, Ukraine - 25%). Finally, «to protect/promote EU business interest on the global energy market» is a common priority for all 3 groups of participants. Many Ukrainian experts explained that it would be a good chance for its national energy business to closely cooperate with European partners. 3. In the EU Energy Diplomacy Action Plan, it states that “work should continue to enhance existing and to establish new energy cooperation and dialogues with increasingly important producing states or regions, transit states or regions, countries of the neighborhood as well as key global and regional strategic partners and interlocutors”. What type of cooperation and dialogue should be the priority in EU Energy diplomacy? 50% of survey respondents believe that «support diversification supply project (sources, suppliers and routs) is the most preferable form of cooperation and dialog. In addition, 5% of respondents mentioned that establishing an information exchange mechanism with regard to intergovernmental agreements between member states and third countries is also important. These two issues could be linked in the concept «energy security». Following, it seems that the problems of energy security are notable for a majority of respondents. It is also noteworthy that «scientific and innovation cooperation» as well «development strategic partnerships with exporters and transit countries» were mentioned in an equal share - 15%. First and foremost, these two replies are closely linked because the basis of a strategic partnership is investigation and innovation research. 4. The Energy Diplomacy Action Plan stated that foreign policy efforts should also focus on creating business opportunities in and with third countries, including by raising awareness of third countries about the EU's leadership in energy technologies and assisting in the promotion of the export of energy technology. 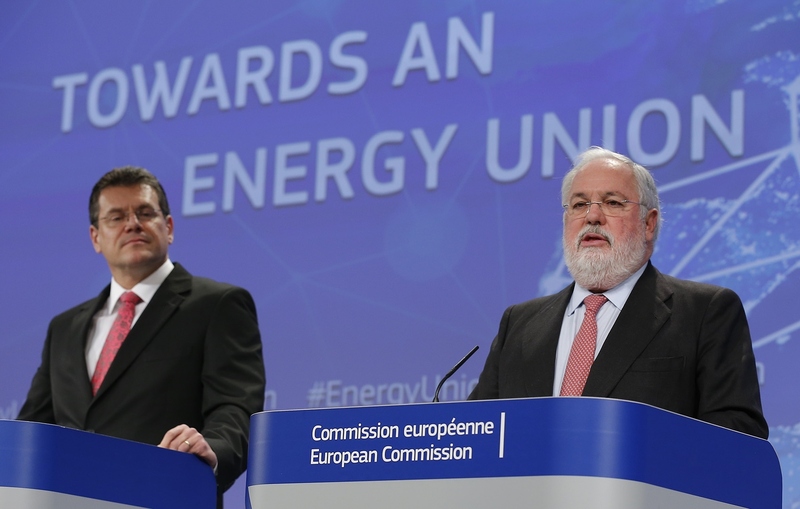 Does this mean that the EU will work to increase the energy security of third countries? Ukraine plays the role of a so- called «buffer zone» for EU energy security, and it is very important that the speed of Ukrainian reforms be high. It seems that European experts are rather critical regarding EU investment in the energy security of third states. 5. Whateffectiveenergypolicytoolscouldbeusedaspreventiveinstrumentsin solving energy conflicts? What should the instruments of energy diplomacy be? The respondents of our survey defined three main instruments of energy diplomacy including a crisis-management approach (42%), negotiations (25%) and, finally, financial and economic blockade / trade embargo (20%). An ideal energy crisis-management system should be based on a well-functioning, liberalized market where demand and supply are the basic tools for balancing. To reach these ideal conditions, there must be competition among external suppliers to the EU, and regulations that are binding on the internal market must be also applied to external energy companies. The crisis-management approach as an instrument of energy diplomacy has a high degree of importance for Ukrainian experts (62%). The European and Polish respondents assess in equal share the role of the crisis-management mechanisms (EU - 38%, Poland - 34%) and negotiations (EU - 38%, Poland - 25% as a preventive instruments in the solving of energy conflicts - 25%). From the point of view of Ukrainian and Polish experts, a financial and economic blockade or a trade embargo could also be an effective instrument of energy diplomacy. 6. There are plenty of internal energy challenges facing the EU today (e.g. demand side response, one-voice energy policy, single approach dealing with Gazprom and others). Should the future energy diplomacy institution be responsible for internal energy diplomacy? 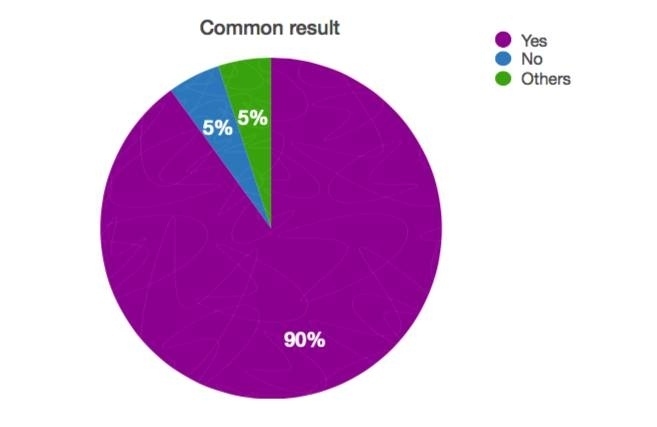 Giving the numerous internal energy troubles, the majority of respondents (85%) acknowledge that energy diplomacy institutions should be responsible for internal energy diplomacy as well. This speaks to the high level of competition and misunderstanding in the issues of energy security between EU member states. In fact, it is a very alarming signal because this «weak place» can be used by Russia. It is not a secret that Russia very often uses internal contradictions of EU member states when national interests in energy policy dominate over European priorities for the energy security. The Kremlin demonstrated using the so-called divide et impera strategy through the weapon of energy. For example, the energy ministers of Hungary and Greece began supporting the building of Turkish Stream. In 2015, Greek Prime Minister Tsipras met Putin and signed a trade agreement with Russia, and the possibility of a 5 billion euro loan from the Kremlin to Athens for Turkish Stream became real. 7. What range of PR-instruments should be used to provide support in promoting common messages of the top priorities and challenges for EU energy diplomacy? It is very important that the EU energy diplomacy strategy be transparent and understandable for all members. Therefore, the package of PR-instruments for the aforementioned goals would be significant. According to the respondents, by far the three most important PR-instruments are cooperating closely with research centres, think tanks, and NGOs (36%), providing bilateral intergovernmental relations (24%) and focusing on the PR-strategy (20%). 8. How would you estimate using the mechanism of sanctions in the case of an energy conflict? This was a very controversial and open question. There was no single dominating reply in results. Three replies were in the top, including «financing of energy project should be refused», «a prohibited trade of energy equipment» and «energy embargo». 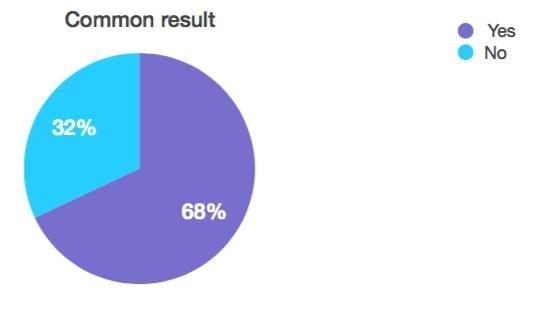 It is worth noting that the option «others» received 14% of replies. 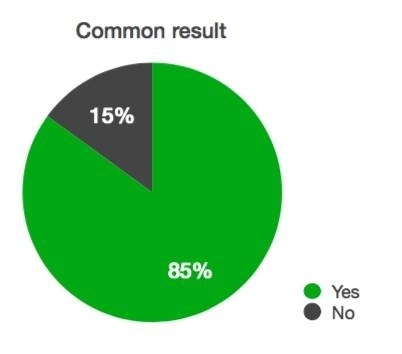 This means that none of the proposed options satisfied the respondents, i.e., they are critical of sanctions as a tool to solve or prevent energy conflicts. 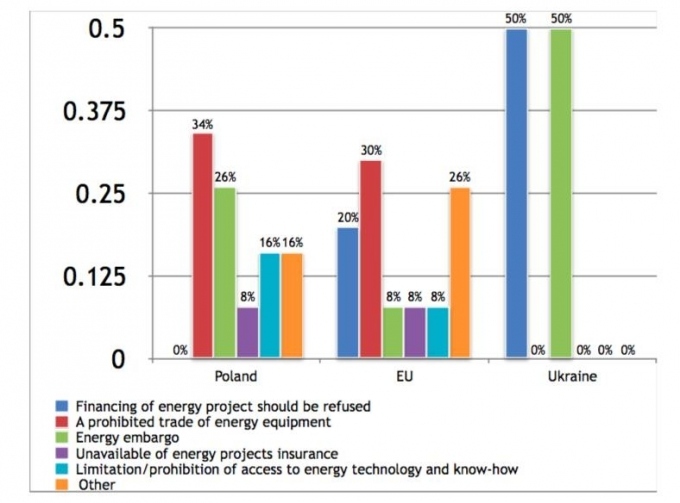 Ukrainian survey participants were quite categorical in choosing one of only two options, «financing of energy project should be refused» and «energy embargo», while «a prohibited trade of energy equipment» prevailed among answers from the Polish and EU experts. 9. Are you in favor of the Commission establishing an ex-ante information exchange mechanism with regard to intergovernmental agreements between member states and third parties? 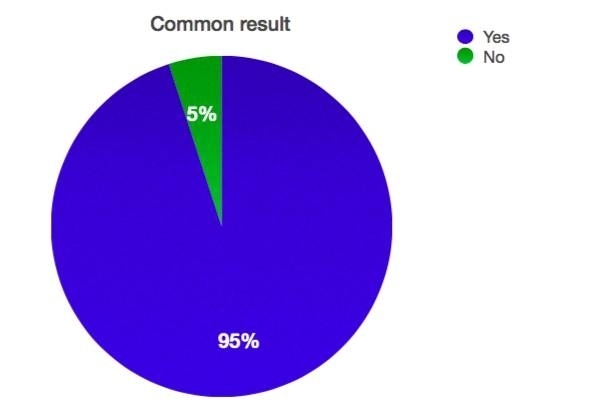 The Commission’s ex-ante assessment of intergovernmental agreements was highly estimated by our respondents. Furthermore, this is directly correlated with the results of the first question and reading between the lines that the Commission should be responsible for the energy security of member states. This means that the EC should be more active in the case of a crisis or conflict situation. 10.Should energy diplomacy be a part of the Energy Union Package? 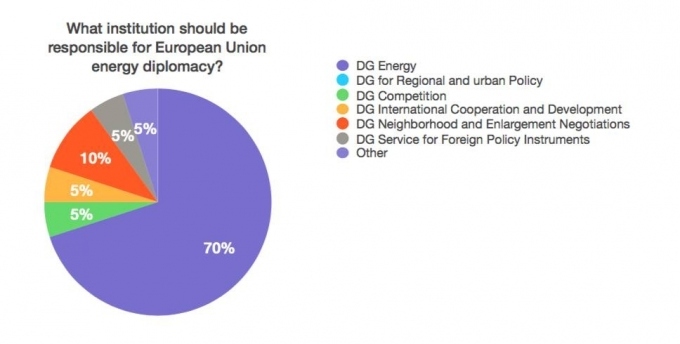 Survey participants seem optimistic about the role of energy diplomacy in the Energy Union Package (95%). 1. At the present, the energy diplomacy of the EU could be valuable in facing not only crises but also future challenges and perspectives. The global energy landscape today is changing rapidly. The growing Asian thirst for energy could motivate Russia and the U.S. to change their export energy flows. Other players are now appearing on the global energy scene, and competition is increasing in the field of security of supply. 2. The European Union should also bet on multilateral energy institutions. Particular support should be given to strengthening the existing multilateral energy institutions and initiatives with a significant foreign policy potential. Undoubtedly, a single European energy diplomacy would also strengthen the EU position in international organizations both in global (UN, WTO) and regional (IEA, IRENA) institutions. 3. European authorities recognized the importance of diplomacy for the realization of the Energy Union Package project. According to the mentioned document, foreign policy instruments should be used to open up opportunities for cooperation with producer and transit countries, including Ukraine. Creating a system in the framework of the Energy Union that establishes trust between member states in delivering cooperative responses in times of crisis is a key goal. Nevertheless, the paper has not explained how it could be done. 4. Such European institutions that are closely linked with energy policy are DG Energy, through the application of the Third Package, the DG for Regional Policy, DG Competition, which has used the antitrust legislation against Gazprom since 2012, and even the DG Development and Cooperation (DEVCO), which has a significant number of projects and staff in countries which could be key for the European energy supply (Nigeria or Mozambique, for instance). These institutions each have their different view on energy diplomacy, as DG Energy now has a strong focus on gas, DG Regional Policy on local development and DEVCO is less interested in the European strategy per se and more focused on its role in international cooperation. Likewise, a European energy diplomacy will require a clear definition of powers, which at the moment is missing.5. The next important goal for the future success of EU energy diplomacy is to define the political and economic instruments of impact and specify the package of PR-instruments for the aforementioned goals. For example, it would be beneficial for European countries to establish common rules on the energy market for all member states and exporter- countries, especially in the case of the EU-Russian dialogue. This initiative will contribute to strengthening the position of weaker as well as single-source dependent member states. 6. The EU Energy Diplomacy Action Plan seems to suggest that in the future, Moscow will lose the capability to make the most out of member states’ diverging perspective on framing energy security. Therefore, the Action Plan focuses on the diversification of both routes and sources of energy supply as well as reforming internal energy, first of all, gas market and increasing external political engagement. In such a situation, Russia will no longer be able to extract political profits from the EU member states’ conflicting preferences. There is no doubt that it should be a basic pre-condition for an effective European energy diplomacy.